«Pain Points or PASSION Points? Running a successful business takes conscious effort. That’s why I was delighted to be invited for an interview on the Conscious Millionaire podcast hosted by JV Crum III. 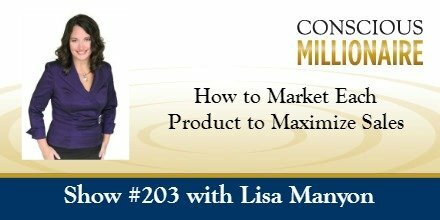 During this interview JV and I discuss many aspects of marketing your business to maximize sales. We also share lessons learned and ways you can apply our experience to your business to be more successful. You can access the full interview by clicking here. Here are 5 takeaways to help you market your products/services to maximize sales. 1) Strategy and content will never go out of style and you have to have a plan for success. When you have clarity about your strategy and your message (content or copy) you can apply that strategy and message to any platform even as technology and media opportunities evolve. 2) Each product, service and offering needs to have its own marketing plan and support. One of the biggest mistakes we see is people creating multiple revenue streams without an individual plan for each revenue stream. This is often fueled by the promise or dream of “passive income” which doesn’t actually exist because it costs money to make money. 3) Conducting a marketing audit and reviewing your content strategy plan can help you get laser focused on turning your most powerful solutions into profitable revenue streams (it’s all about laser focus and streamlining and you’ll hear how my Content Strategy Plan helped one client move from multiple 6 figures to 7 figures in 6 months. I’m still incredibly humbled by these results and I give my client full credit for taking action and implementing). 4) Follow your heart and intuition. Both JV and I have been advised to change the name of our respective efforts (Conscious Millionaire and Write On Creative) and we KNEW that wouldn’t serve us. By holding true to our vision and trusting our vision we’ve both created strong brands that have stood the test of time. 5) Create your business with a lasting legacy in mind. Instead of going after the “low hanging fruit” which often seems easiest, be strategic and make sure your values are in alignment both personally and professionally so your body of work creates a lasting legacy for humanity. How are you marketing each product or service to maximize your sales? What lasting legacy are you creating? I’d love to hear from you so leave a reply here. AND don’t forget to grab your FREE Copywriting Action Plan to learn how to create marketing messages with integrity here. This entry was posted in Resources and Interviews	on Sunday	September 9, 2016 at 1:47 pm. You can follow any responses to this entry through the RSS2.0 feed. You can also leave a response. You just reminded me that it’s time for an audit! It’s been on my to-do list.. time “to do” it! Yes, marketing audits and content strategy plans can certainly help with clarity and cash-flow. Two of my favorite things. 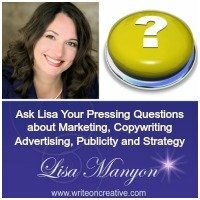 Outstanding marketing tips Lisa! I’ve learned a lot by reading this and am a big believer in creating fresh content! Great tips on marketing. Specific marketing is always best. Less confusion and you are speaking directly to the right audience for your product or service. Since marketing is all about relationships it should always be a conversation that engages. I see far too many people talking at prime prospects instead of talking WITH them. I honestly think that strategy trumps all – if it’s a good strategy a biz owner will be excited to implement and not lay back. I also think a lot of biz owners don’t see themselves as strategists and don’t have critical thinking and decision making skills, sad to say. Somme people make it way too difficult. Thank you for the outstanding marketing tips. Many entrepreneurs will really learn from this article especially the young ones. Glad to read this.